-- Every so often, we try to run other threads. do -- Load XML from glade path. -- Note: crashes with a runtime error on console if fails! 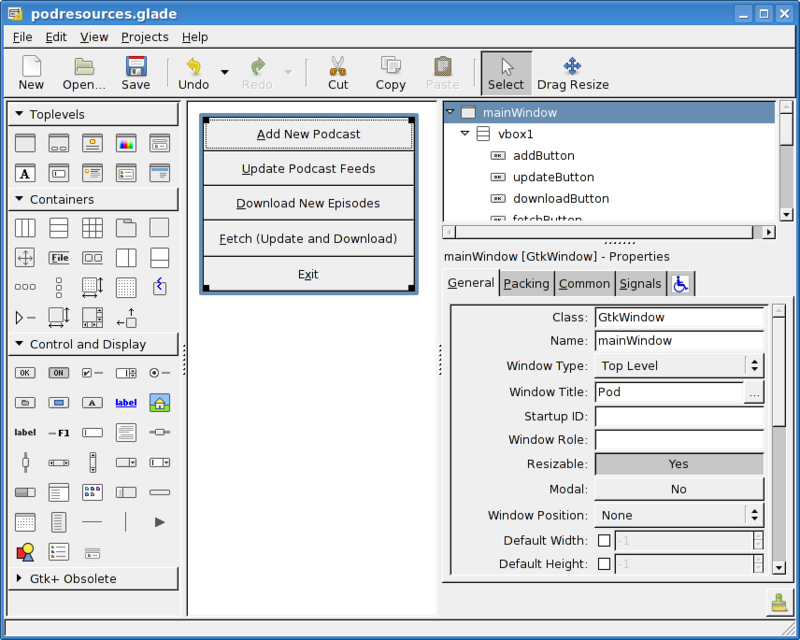 mw <- xmlGetWidget xml castToWindow "mainWindow"
sw <- xmlGetWidget xml castToDialog "statusDialog"
swl <- xmlGetWidget xml castToLabel "statusLabel"
au <- xmlGetWidget xml castToDialog "addDialog"
aue <- xmlGetWidget xml castToEntry "auEntry"
updateLabel "Action has been cancelled." 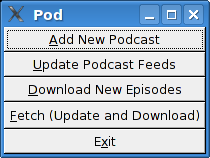 statusWindow gui dbh "Pod: Fetch"
do gladefn <- getDataFileName "podresources.glade"
© Copyright 2012, huangz1990. Created using Sphinx 1.3.3.